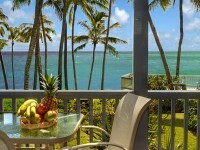 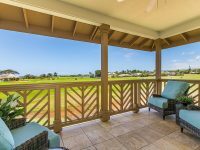 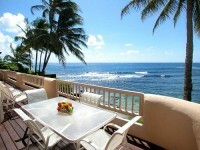 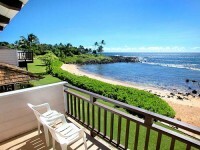 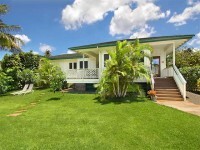 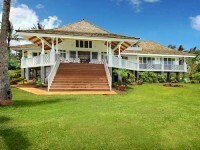 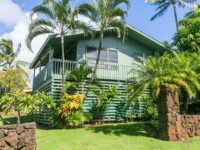 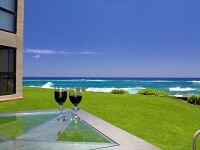 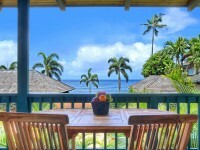 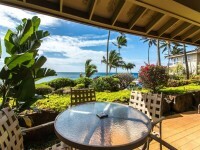 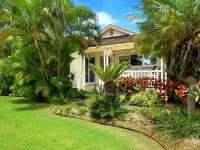 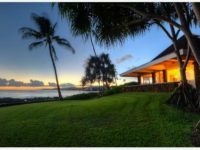 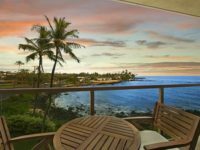 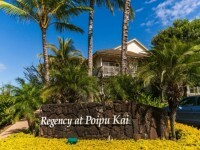 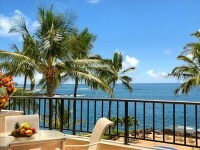 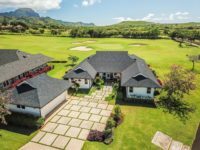 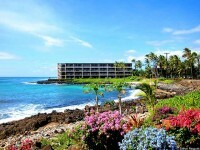 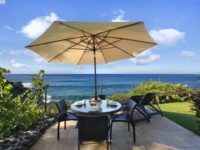 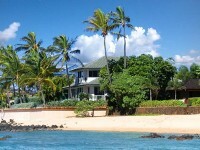 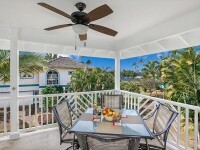 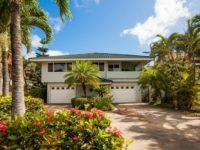 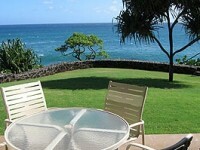 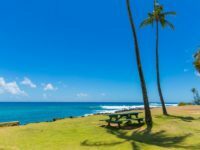 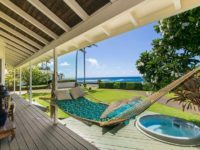 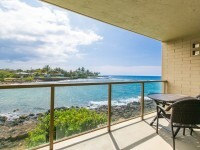 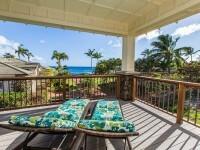 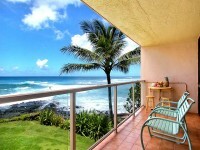 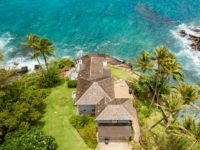 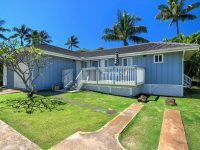 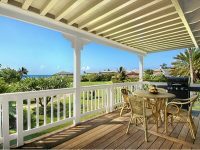 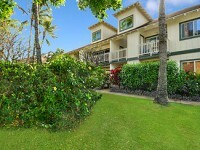 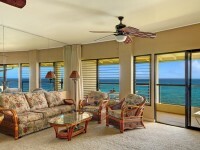 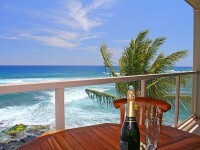 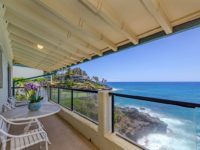 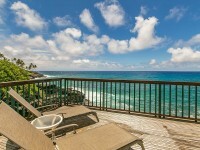 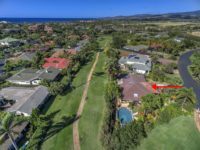 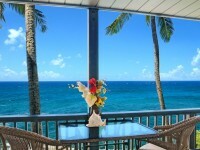 POIPU, KAUAI VACATION RENTAL: This oceanfront 1900 sq. 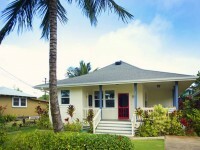 foot 2 bedroom, 3 bath Hale Honu (House of Turtles) was recently rebuilt, stripped down to the studs. 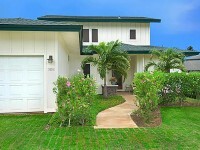 New wiring, plumbing, walls, doors, windows, bedroom A/C’s and Italian tile floors were installed. 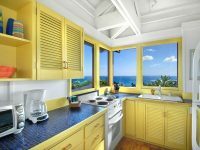 The immaculate kitchen features all new, high end appliances including a six burner gas stove, dishwasher, oven and combination microwave & convection oven. 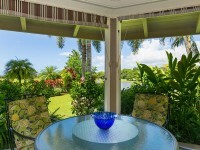 The house is equipped with 5G internet access with seamless transfer between the two modems. 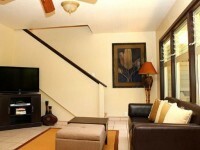 Both great rooms are equipped with 55′ HD TV’s. 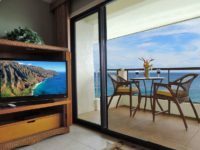 There is a bedroom located on each floor each with a king size bed and their own TV. 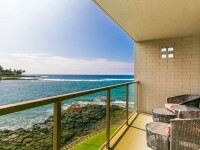 The upstairs master bathroom features both a shower and a large free standing tub with an ocean view! 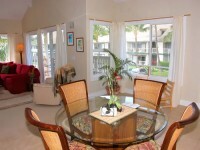 The upper great room has a double size punee bed that can sleep an extra person. 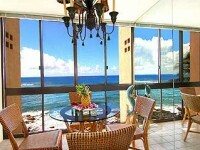 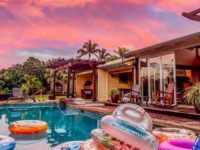 Hale Honu is the perfect accommodation for two couples traveling together or a family of 3-5 people. 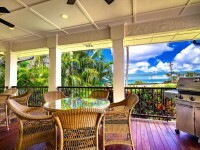 Hale Honu is located on a quiet side street in the exclusive Baby Beach neighborhood. 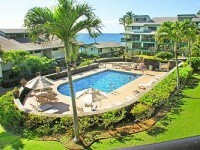 It is a 3 minute walk to Baby Beach. 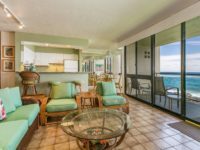 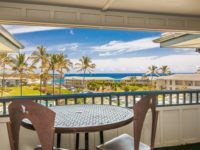 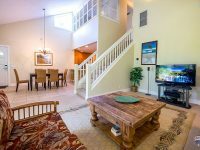 Hale Honu features a great room on each floor with their own lanais that overlook Koloa Landing, famous for near continuous presence of giant turtles. 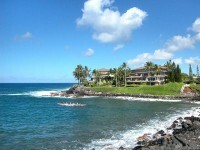 The typical turtle count is six to eight with a record high of 27 sightings just last year. 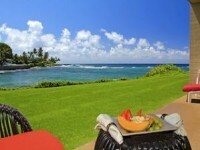 Come stay with us for some sun and turtles!